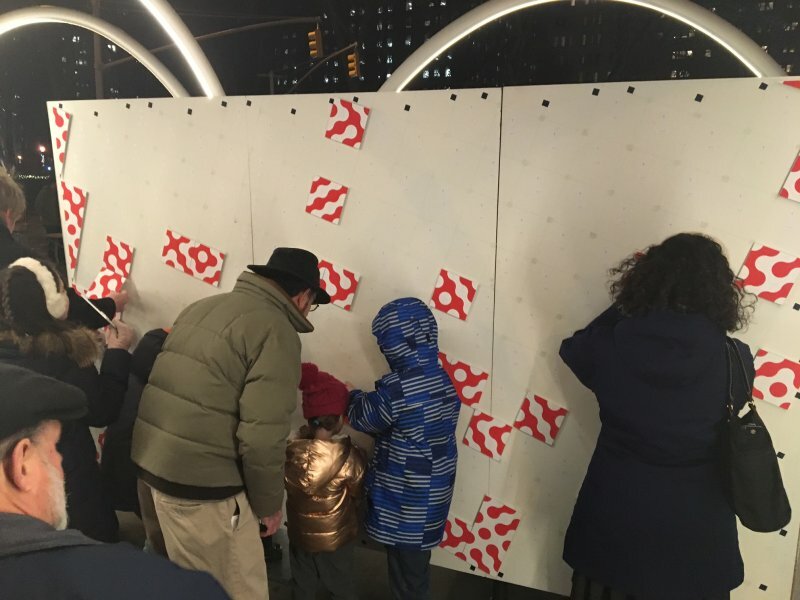 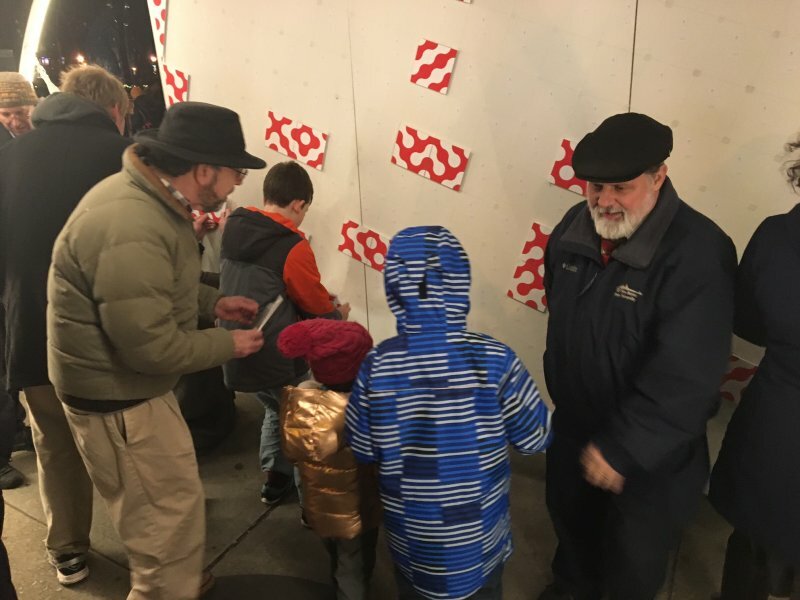 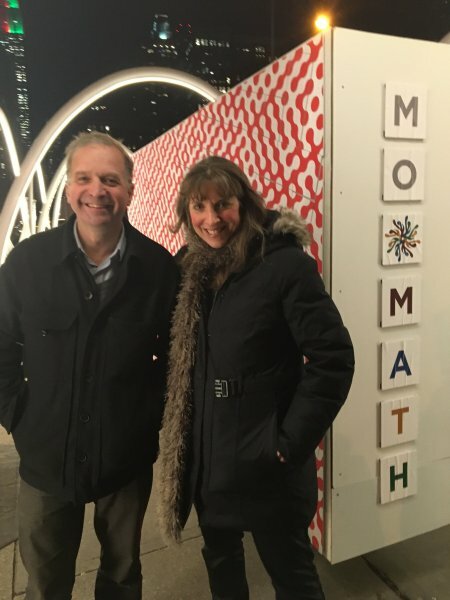 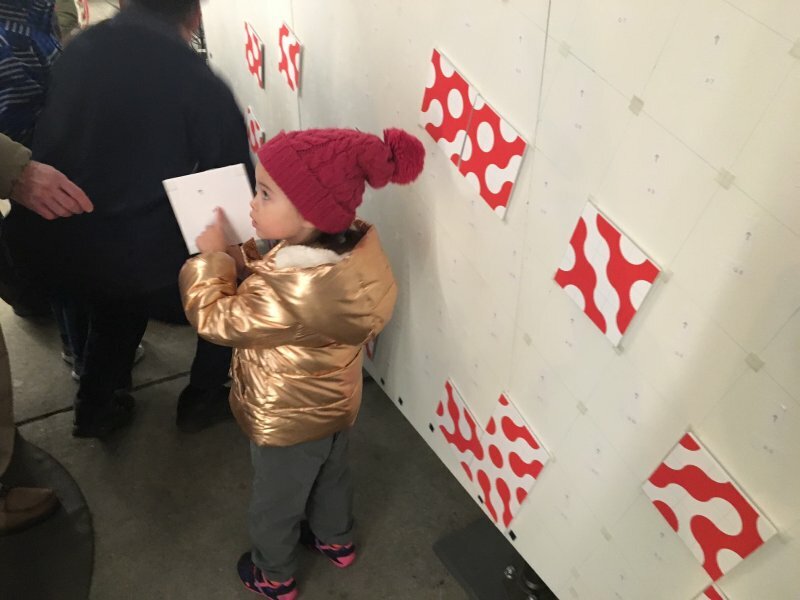 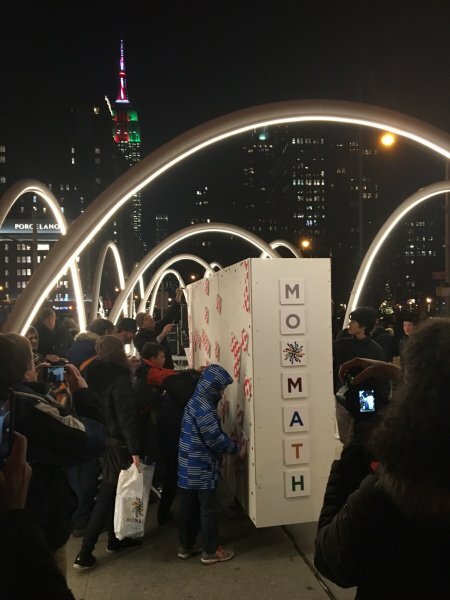 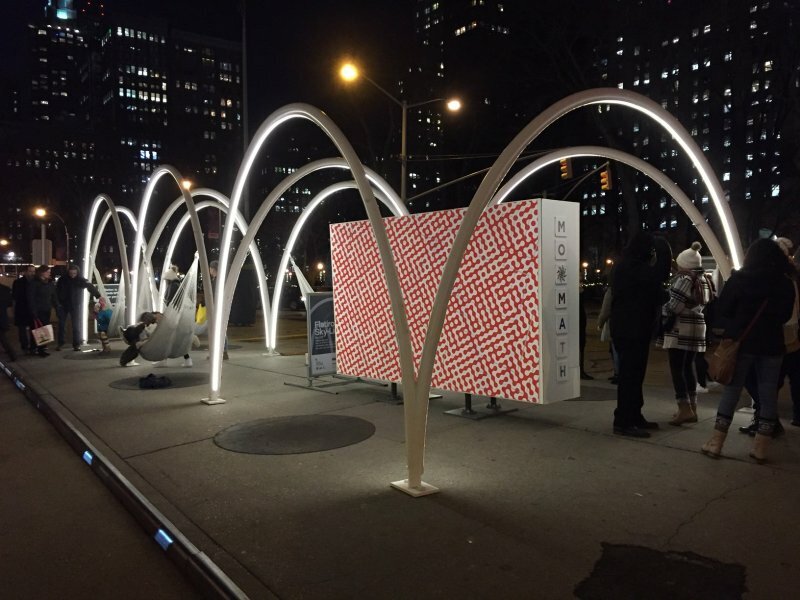 MoMath and the Flatiron 23rd Street Partnership put together a puzzle on Flatiron Plaza to celebrate the winter solstice! 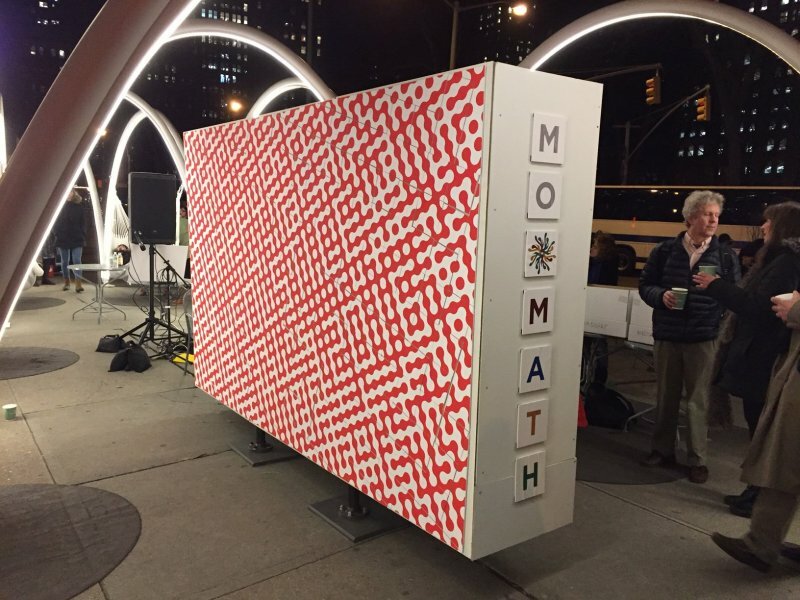 Take a look at photos from this MathHappening below. 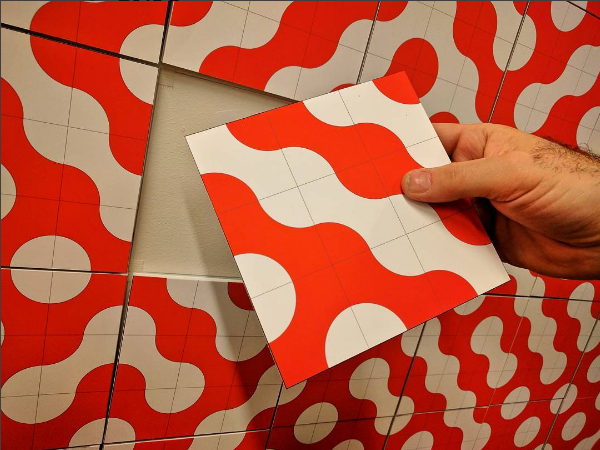 The stylized Truchet tiles came together to reveal a hidden message. 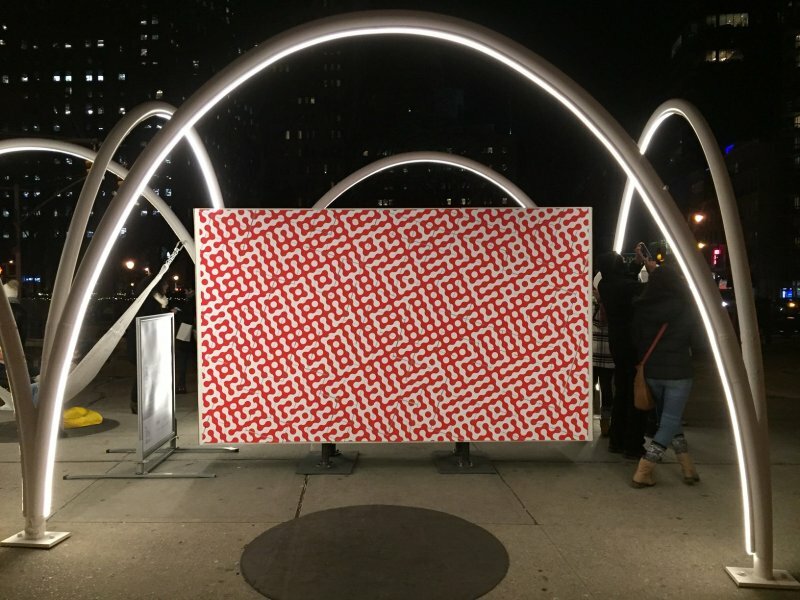 Can you decipher the hidden message? 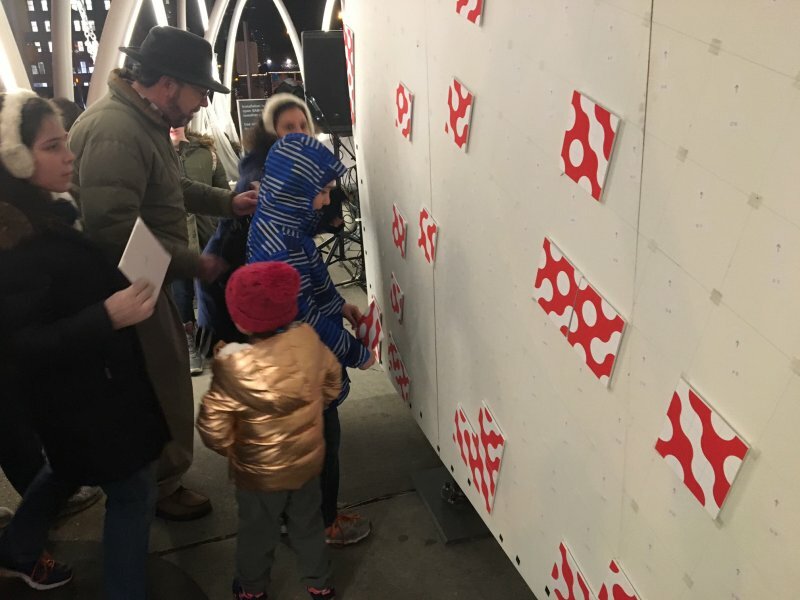 Photos of the 2015 Winter Solstice event, Solstice Stars are available here.